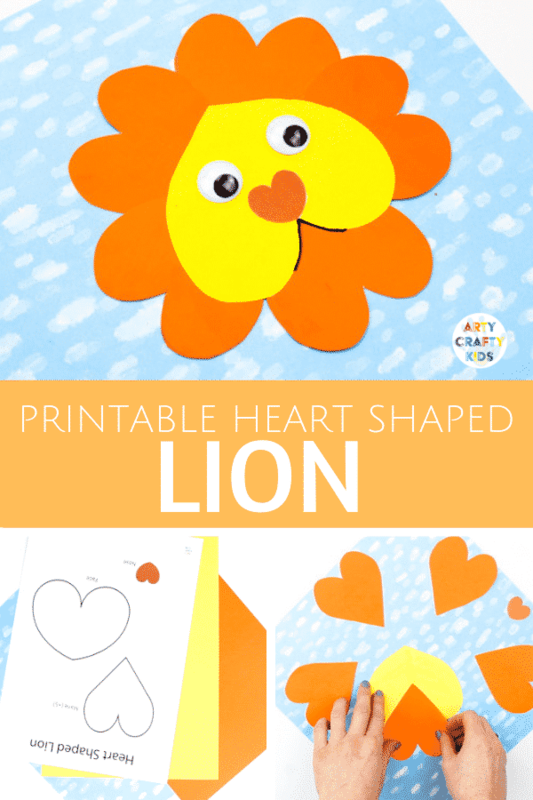 We continue our animal heart series with an adorable Lion Heart Craft. 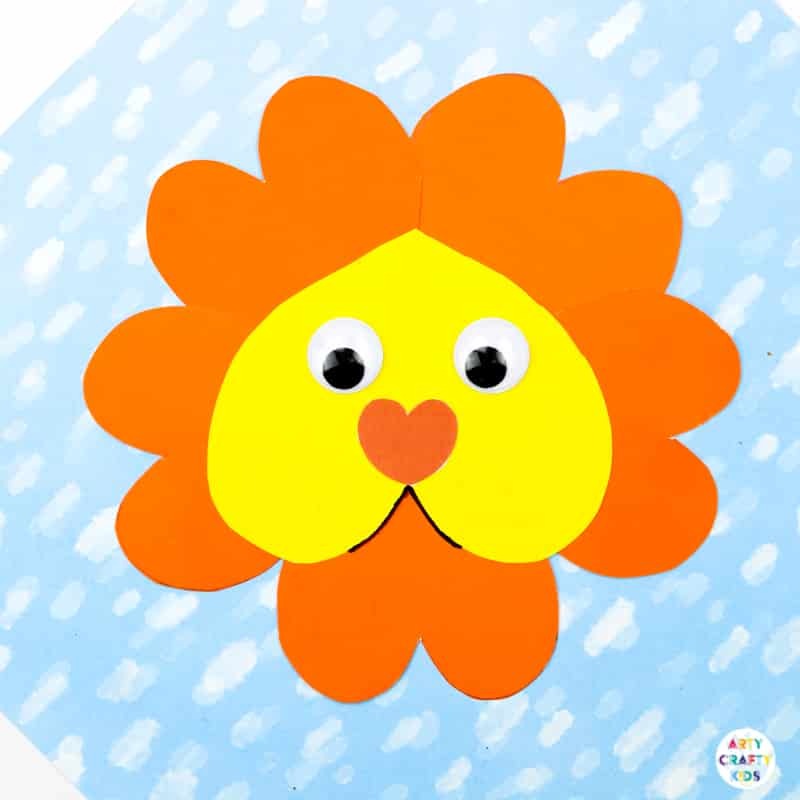 Simply download and print the Heart Shaped Lion Template and leave the rest to the kids. 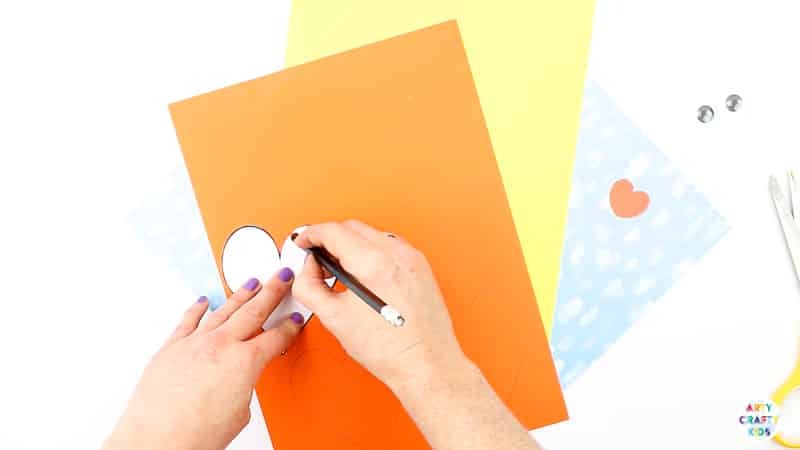 The large shapes encourages little hands to have a go at cutting, tracing and assembling the shapes themselves. 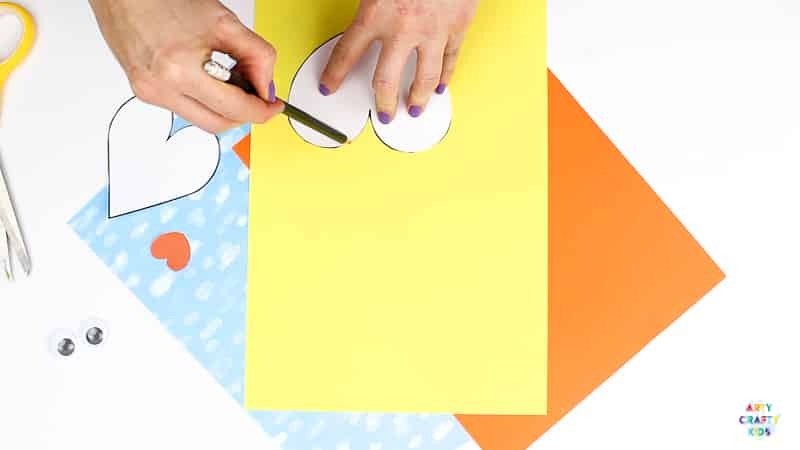 Arty Crafty Kids will need to use their problem solving skills and imagination to work out where the shapes are best placed. 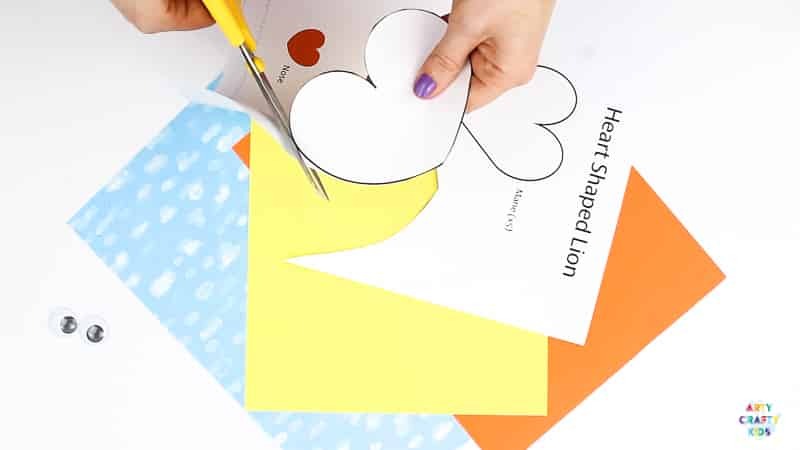 The Lion Heart Template is available exclusively to Arty Crafty Kids Club members. 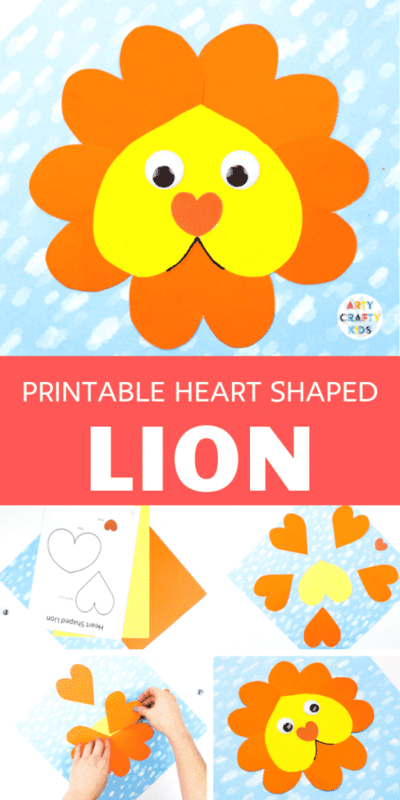 Download and print the Lion Heart Template on to white card stock. 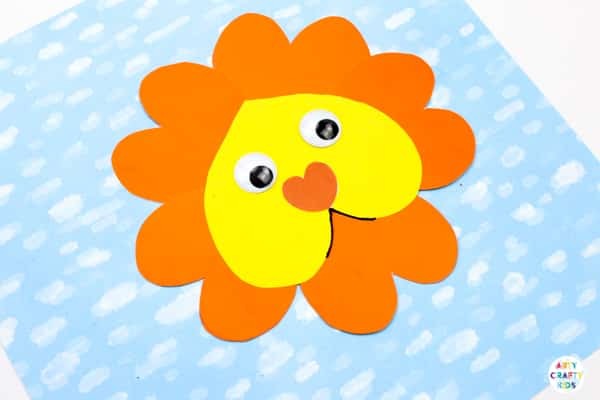 Cut out the large heart – this will become the lions face. 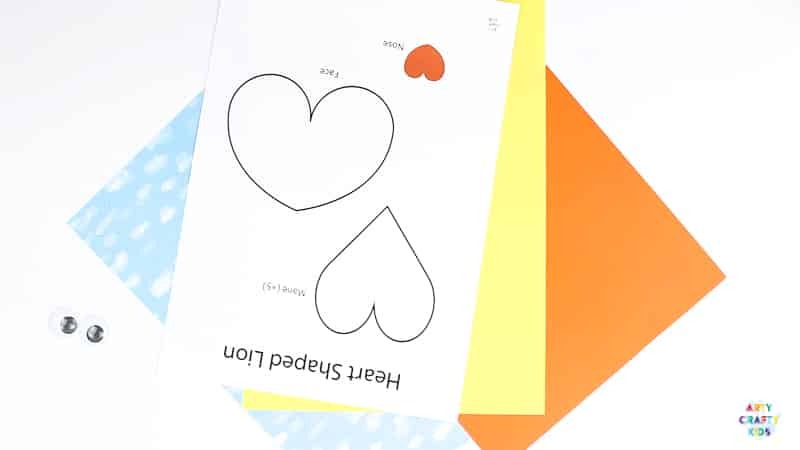 Using yellow paper, trace around the heart. 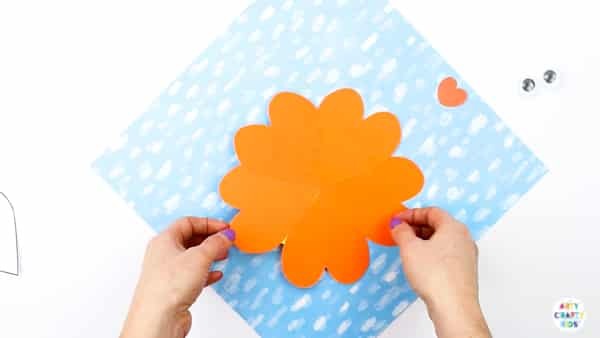 Cut out he second heart, marked as ‘Mane’ on the template and trace around this 5 times onto orange card stock. 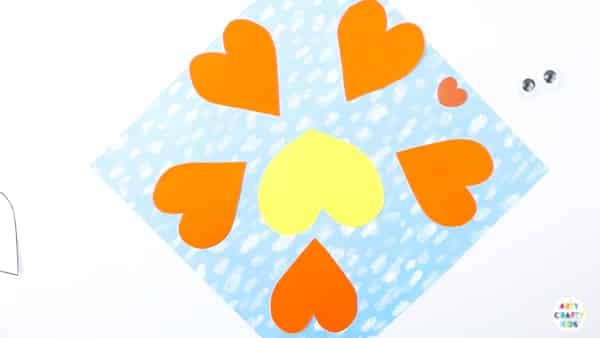 Position the orange hearts around the yellow heart as shown above. 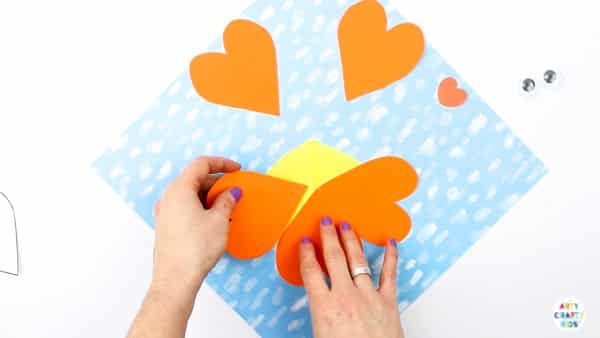 Glue the first heart to the back of the yellow paper, aiming for the point of the mane heart to be in the centre. 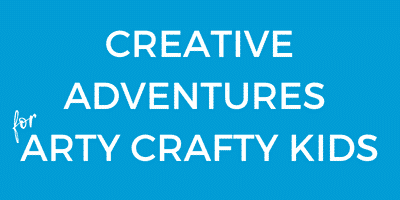 Add a second and third mane heart. 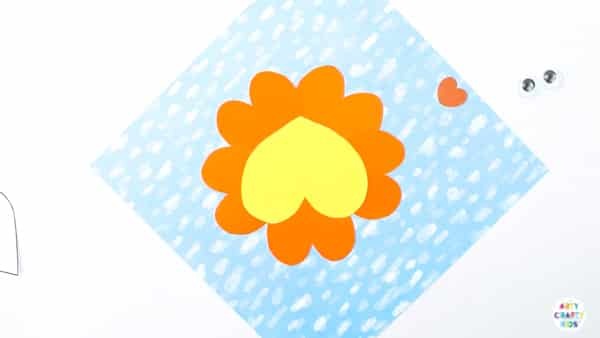 Add the final two hearts. Like a puzzle, the pieces should all fit snugly together. Add a little orange nose. Complete with a pair of googly eyes and a black marker to emphasis the mouth. 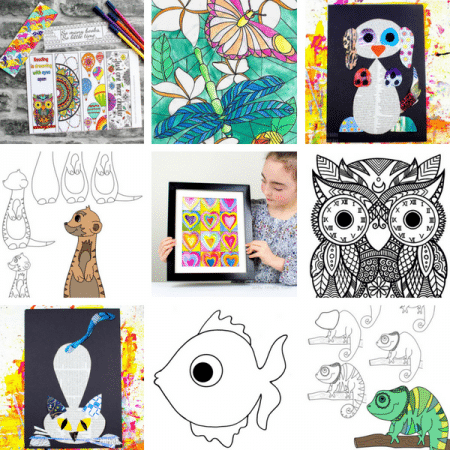 Sign-up to the Arty Crafty Kids club to download and print all the templates!